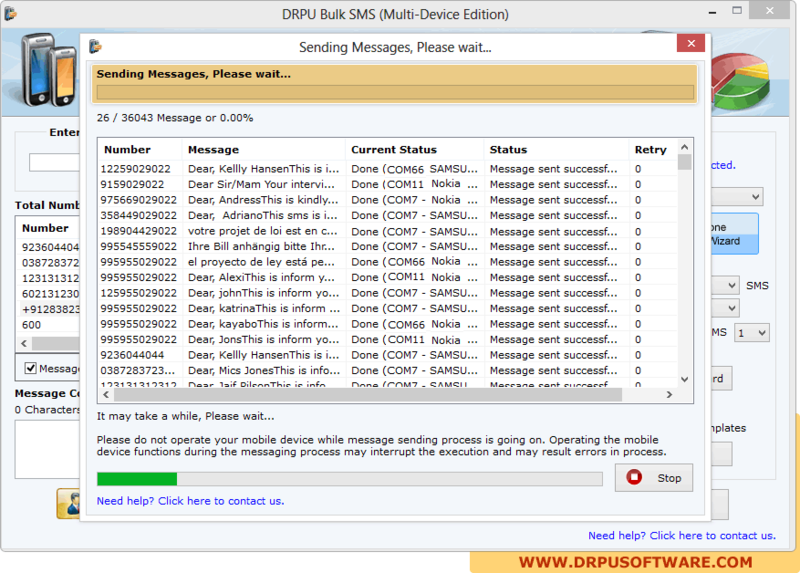 Screenshot shows message sending process with current status. Sent messages save in sent item list, click on “Export” button to export sent item list. 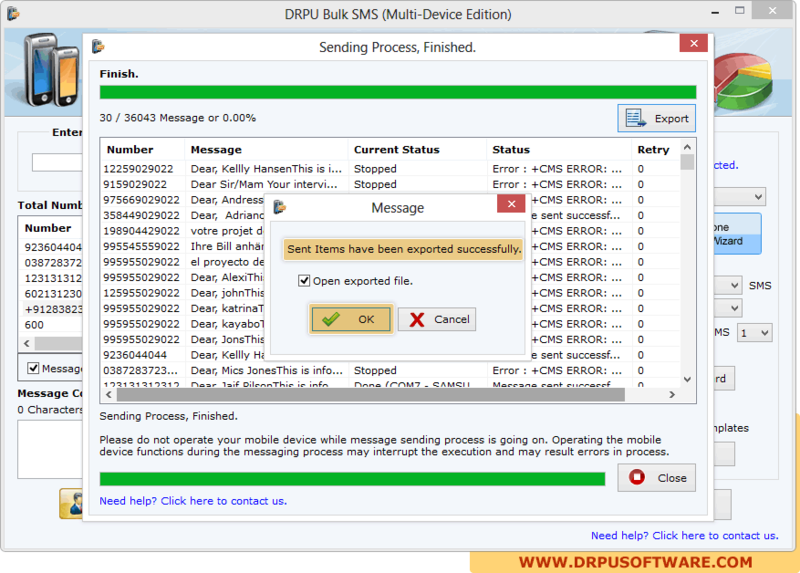 After completion of export, a messages window will display - "Send items have been exported successfully". Click OK to proceed.